Hair adds to the eternal beauty and personality of women whether short, long, frizzy or silky straight. Color variations, texture strikingly present some with shining dark black, blonde and others might get them gray as per the trends sets in. Girls are obsessed with their hair so they spend plenty bucks in salons for hair spa, hairdos, hair smoothening or re- bonding and hair perming to adapt to the changing concepts of fashion. Every time a women grooms, she wants to look appealing and more refreshing. Self renewal by dressing beautifully and tying hair either neat or messy can improve the charm. 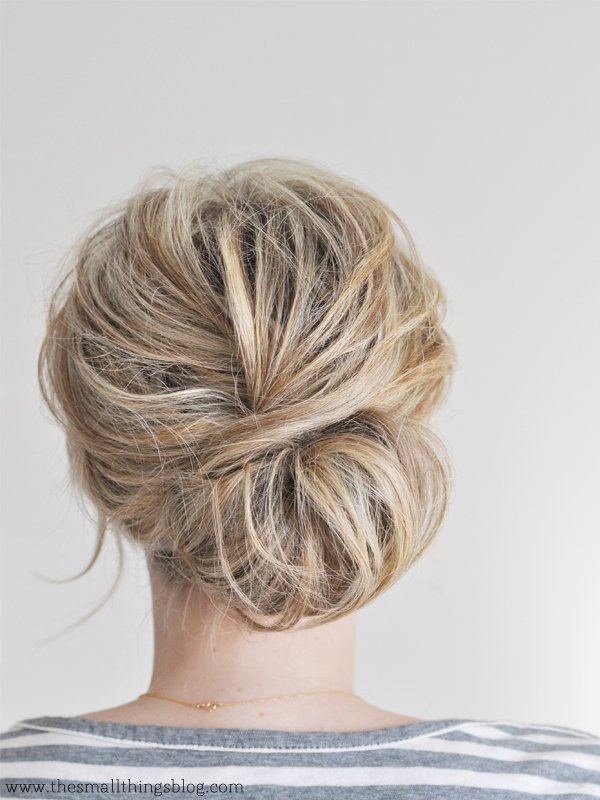 One can change entire looks by not always using a comb but sometimes just the fingers are magically enough to raise a royal bun or a simple ponytail. If you are wondering what to do with your hair, no matter bob short length, voluminous or finitely long, we’ve put together a list of elegant, super-chic and easy hairstyles for revealing smart and gorgeous swag in every women, styling for office as well as special occasions. Go for them! Look gracious and get on the dice with this confident hair turn over. Very simple to do and takes just few minutes from your busy life. 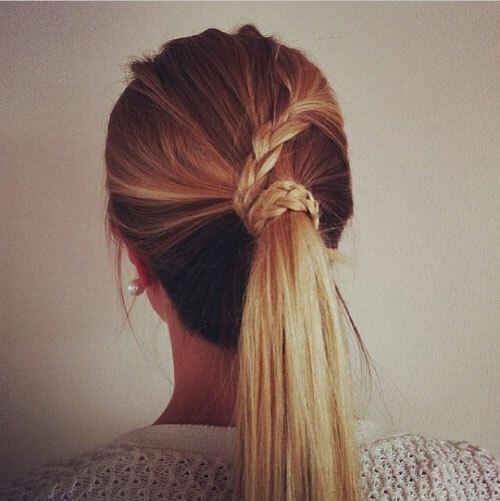 This bumped ponytail makes you look like a Barbie with its phenomenal streaks loosely headed up in a elastic band. Easiest still modern and fascinating twisted hairstyle makes women look perfect blend of conservative and modish vibes. It would look amazing against a gown outfit. It’s untidy yet suits a high class party set up. Just 2 minutes to put together and you are ready for the stunning shot. Foxy Fishtail Braid is another lavish and contemporary hair transformation that flaunts your attire to an exceptional level of beauty with simplicity. As the name reveals that the outlook may make you look alike an aquamarine, it better defines a piece of serenity. French braids are quite hassle free to learn and with such an ease it add some cuteness to your hair. Moreover they camouflage your split ends and lets your hair look considerably fluffy if tied gently. 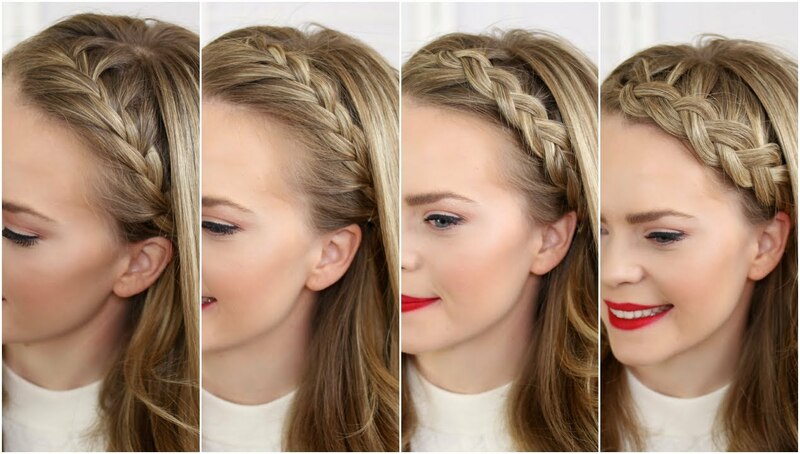 Try this out and get a festive look. Quick version of the bow, this time with a halfdo! Bow not only match up with a tuxedos, indeed it goes well with a hairstyle. Makes you look prettier and cuteness is overloaded. It will give you a party as well as a professional perfect touch. It’s subtle shape makes it resemble flower petals emerging out through a half hair do. 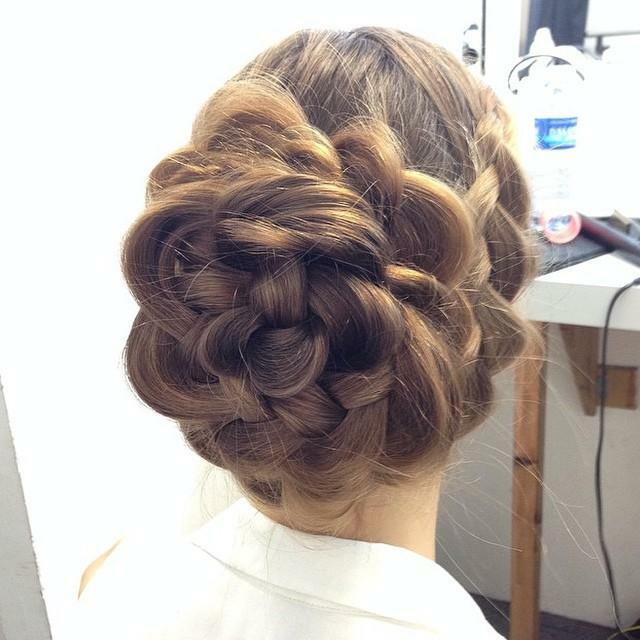 It is a simpler braid form spinned around and fixed with a hair pin. It wipes off the need to use decorated hair accessories and offers a lively set up on your head. Want to get Angelina jolie’s hairstyles? Are you a person who wants to rejuvenate your facial profile by varying your hair sense only and find no time to perm or straighten your hair? 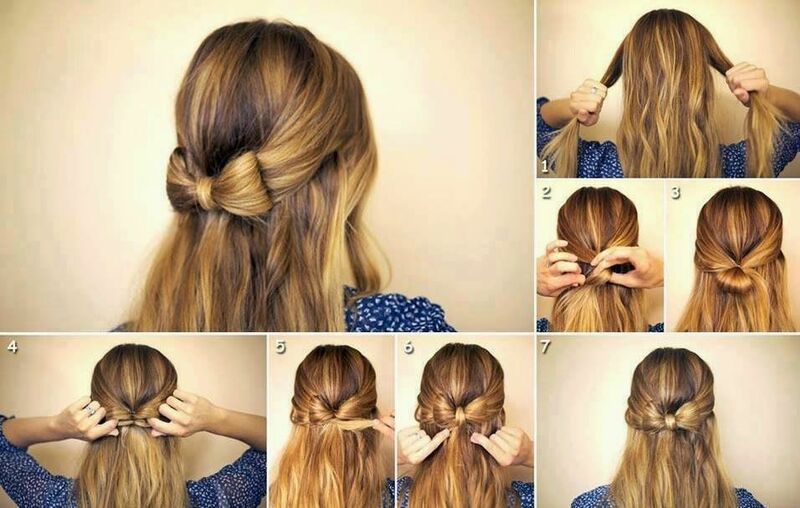 If that is the case, then this amazing two-minute hairstyle idea will hold your fingers to create a flawless bun, without too much effort, giving your tremendous time for skin make- up. Another impeccable and classy style that fancies your personality! It adds falling and rising waves to the ends of your locks, leave out a section to braid, and pull all of the hair into a low ponytail. 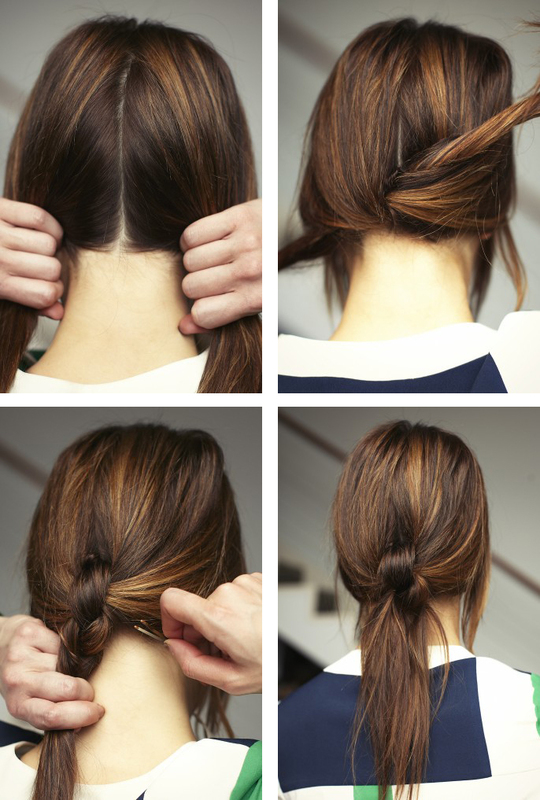 Finish the look by braiding the reserved section, and use the braid to wrap around the base of the ponytail. An option opens for all whether short or medium cut hair length. 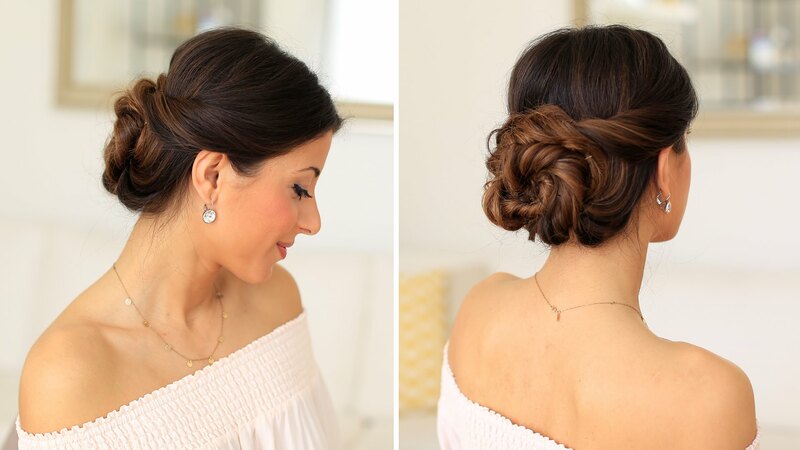 Spring’s biggest hairstyle trend is none other than the half bun. A simple knot plan merged together to catch hair only above your temple region and rest left untied. It gives you a casual appearance. 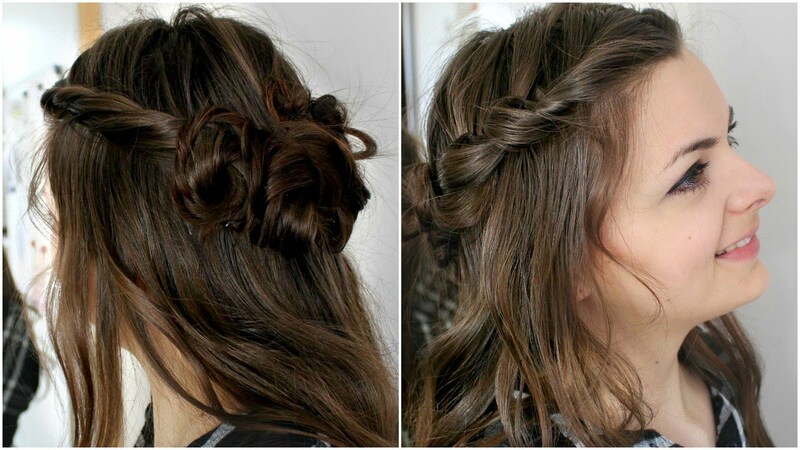 This type of hairdo personifies elegance peeping out of a wavy hair style. Attain ravishing and adorable glance by draping an eye catching party costume and twisting your hair into a messy low chignon type bun. You will surely be praised for looking exceptionally gorgeous. 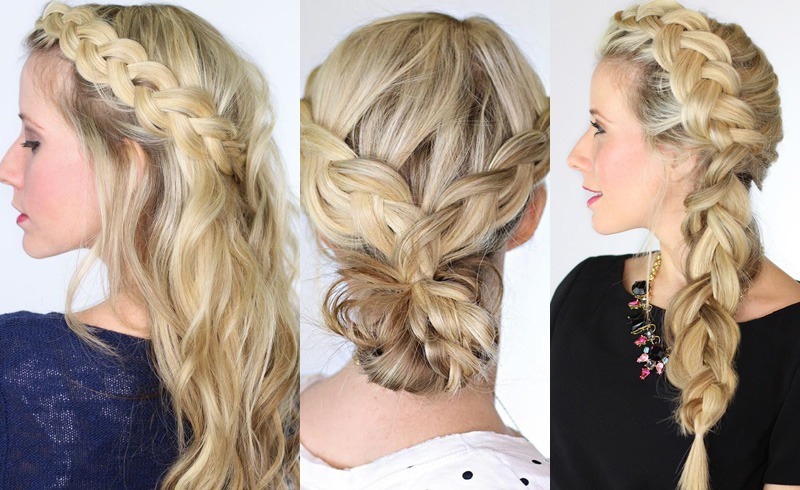 Try new ideas and look younger by switching to variety of hairstyles. Don’t let your beauty fade with falling or greying hair. Tie them as they demand and look ferociously alluring.